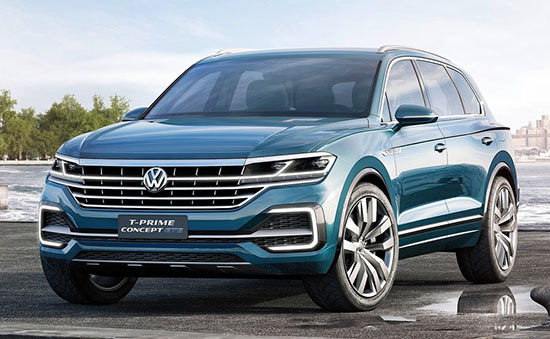 Well, as you can see, the next Touareg (in while) will look exactly like the T-Prime concept from last year. The T-Prime looked just fine. Even great when compared to the sad Atlas. But that crease on the side is getting really close to an Audi design. It seems that, in general, VW is competing more and more with Audi these days. More than ever. I mean the Golf's really nice interior is at least as nice as the Audi A3. The all new Arteon looks better than the Audi A5 hatchback. Competing with the super boring "Mr.Zero Personality" Q7. Doesn't really make any sense to me. I see nothing but a mess of horizontal lines. Will keep an eye out for it! Look good so far! While Chrysler is dying, how is Dodge doing??? 2018 Buick Regal TourX AWD wagon. New SsangYong Rexton: we're not missing anything. New Opel Corsa still testing??? Nissan Altima test drive coming up. Final prototype Tesla Model 3 video! What happened to the Alfa Romeo Giulia Coupe??? Is the Lexus GS dead? VW GTI test drive coming up. 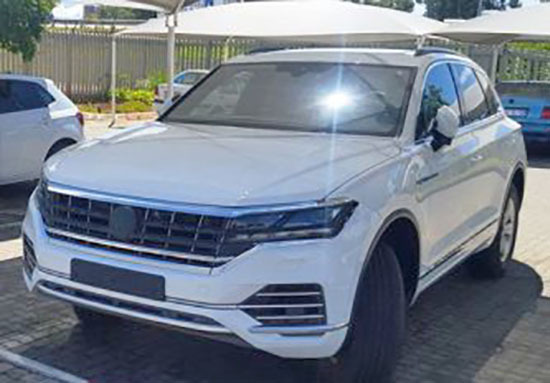 Look who is copying the VW Atlas. 2018 Volvo S60 sedan ?? ?